Patriot League Nov. 4, 7, 9 Hamilton, N.Y. Beyer-Small Field Boston U. 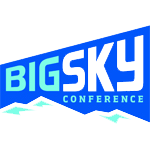 Summit League Nov. 6, 8 Denver, Colo. CIBER Field S. Dak. St.
Sun Belt Nov. 5, 7, 9 Mobile, Ala. The Cage South Ala.